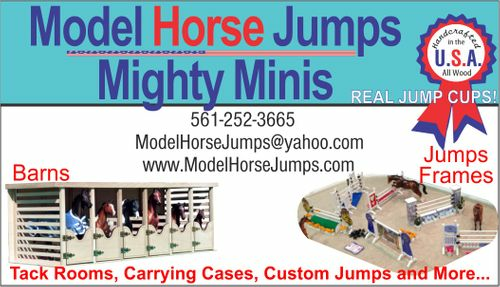 Start out with a Jump Course and add specialty jumps later. A great way to start off your collection. ENJOY!!!!! WOW!!! Spark the imagination and bring out the inner course designer. This is a great way to start off your collection. Includes a total of 8 standards, 2 Flower-Box sets, 4 Flower-pot sets, 2 wall sets, 1 Roll-Top set, 2 Gates, 6 poles, and 16 jump cups. WOW! Your imagination can fly since all our jumps are interchangeable and adjustable.